Blasting off into a new year, staff from St Luke’s ElderCare gathered together for our first Town Hall of 2017. 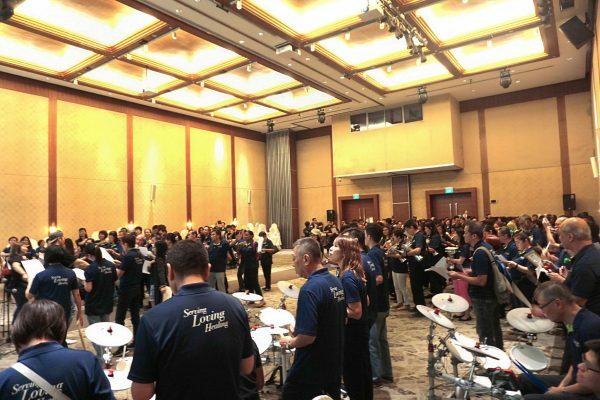 In a span of 1.5 hours, our staff formed a band as they harmoniously rehearsed together with various musical instruments such as keyboards, drums, ukuleles, and guitars. Though our team had to wrap up the delightful musical session after our final performance, the day ended with lunch and a traditional “lo-hei” to celebrate the Lunar New Year. From all of us at St Luke’s ElderCare, we wish you a Blessed Lunar New Year!